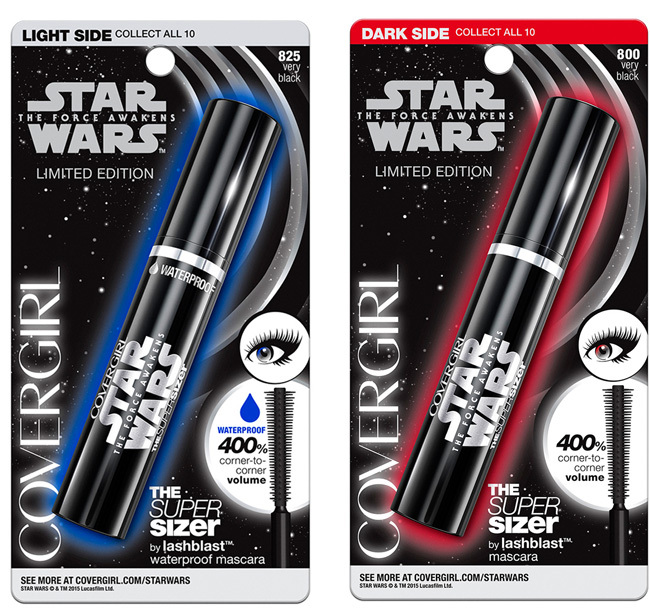 COVERGIRL Limited Edition Star Wars Collection. Movie fans and makeup mavens are about to go crazy: COVERGIRL has been inspired by the latest Star Wars film, Star Wars: The Force Awakens, to create a limited edition collection. The brands Global Creative Design Director, who just so happens to be one of the worlds best makeup artists, Pat McGrath, designed a series of beauty looks inspired by the film, using new products from the COVERGIRL Star Wars Makeup Collection, as well as some of the existing products. The looks were inspired by the films iconic characters and key themes and were designed for us of millions of fans to celebrate the love of the movie. I can't wait to try out some of the looks! Whether you want to embrace your Light Side or Dark Side, there will be six looks in all. So far, COVERGIRL has revealed two looks. We will have to wait until closer to launch date at the beginning of September for the rest of the avant-garde looks. Droid features a luminous look that reflects the Light Side in “Star Wars: The Force Awakens.” A swatch of golden eye shadow across lids and cheekbones sets the tone, with gold lipstick and gloss punctuating the lustrous palette. Droid is rocking a new metallic lip shade - COVERGIRL Star Wars Lipstick – Colorlicious in Gold #40. Stormtrooper features a strong and graphic look to represent the power from the Dark Side. The eyes dominate with a black winged liner and white contrasts. Lips measure up in a deep, mysterious red. 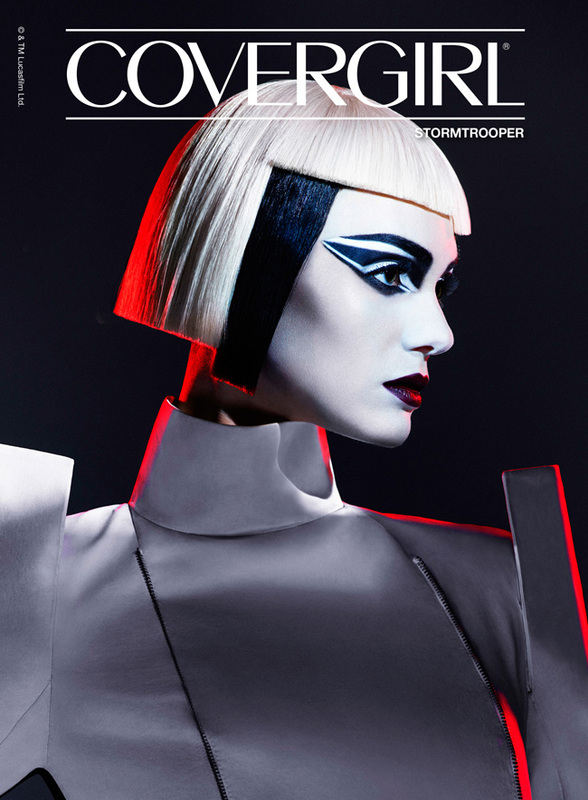 Stormtrooper’s edgy look is topped off with a new lip shade - COVERGIRL Star Wars Lipstick – Colorlicious in Dark Purple #50. COVERGIRL Colorlicious Lipstick comes in new shades exclusive to the Star Wars collection that corresponds to the 6 looks created by Pat McGrath. These colors will provide the force to choose between the Light Side and the Dark Side. COVERGIRL's collectible Nail Gloss features limited-edition packaging that includes a transparent, thick glass bottle and a glossy black square top that celebrates Star Wars. I can't wait to get my hands on the products. Once I do, I will snap some photographs and feature them for you here. 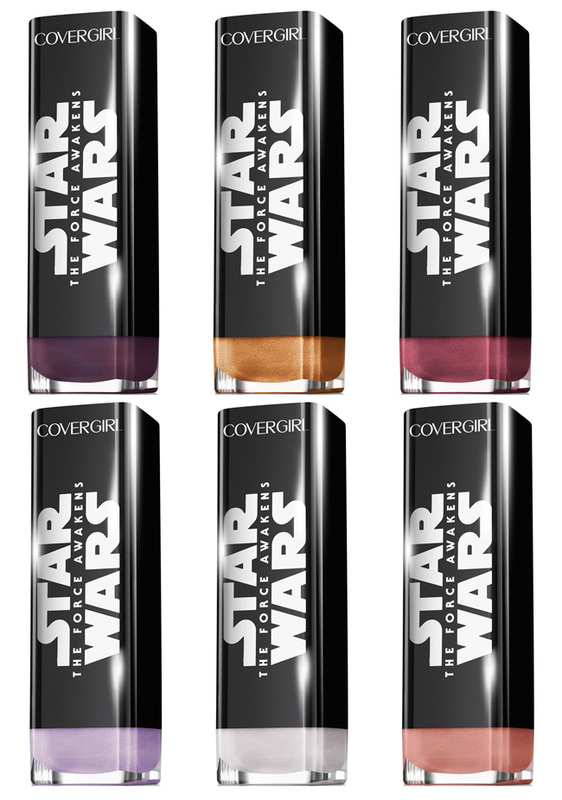 Look for the limited edition Star Wars makeup collection online at covergirl.com beginning September 4th and in your favorite drugstore or mass retailer mid September. A Flawless Face with IT Cosmetics.